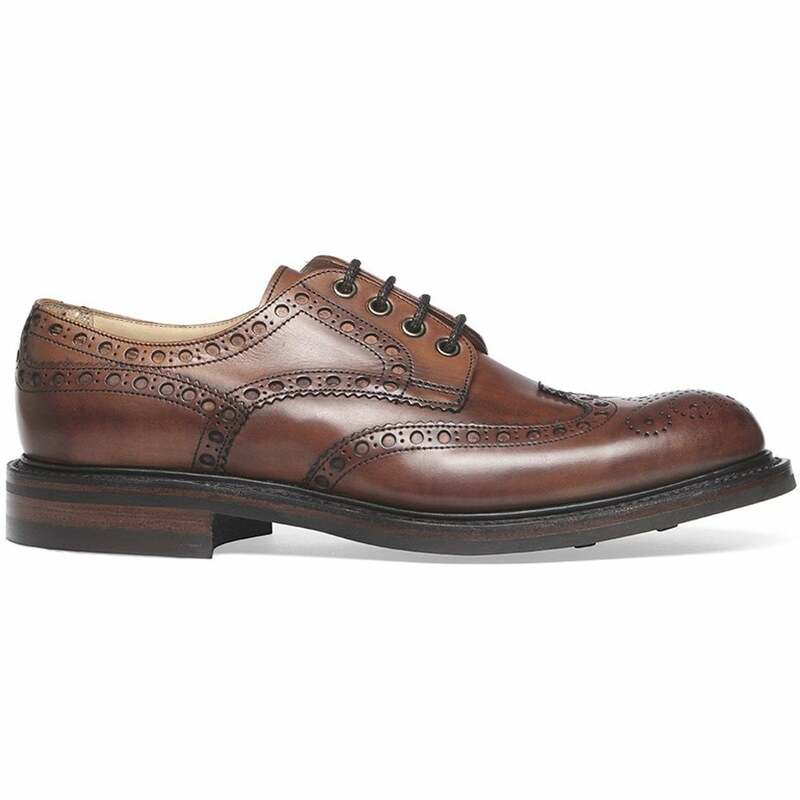 Cheaney Avon Wingcap brogue country shoe in hand burnished dark leaf calf leather. Features a stormwelted dainite rubber sole and brass eyelets for additional longevity. Showing 2 of our total 8 reviews, with an average rating of 5 stars. Read all 8 reviews for Cheaney Avon R Wingcap Derby Brogue in Dark Leaf Calf Leather | Dainite Rubber Sole. Comfort out of the box! These are the most comfortable shoes I’ve ever bought, normally i would not buy shoes this way, but with these shoes I’ve been proved wrong! I had supposed that it would be a case of the colour, size, material, and the time that would have entailed, but couldn’t have been more pleasantly surprised, new customer in the making. My first pair of Cheaney shoes just can't believe how comfortable they are and the quality is outstanding .